A looming job interview is something that everyone can get nervous about. It’s typical to get more anxious as the big day gets closer. Luckily, there are many things you can do to prepare yourself for this crucial event. Before you face hiring managers, you should make sure that you understand everything listed in the job description. Do your research about the company’s history since the interviewer might ask a question or two regarding what you know about the company. You can read more about the company on their official website – almost every official company site has an About Us page where you can glean knowledge from. Read about the history, the founders, and who has since taken over as CEO. Also, it will help you prepare if you check out previous press releases and other announcements. These steps may seem small, but they can make a huge difference. Showing so much interest that you can list off facts about the company can get you a second interview or, even better, get you hired. There are other ways to prepare for a job interview. Practice in front of a mirror by answering questions the interviewer might ask, or ask a friend to pretend that they are the one conducting the interview. Really focus on your enunciation, appropriateness of vocabulary, and grammar. Excellent communication skills are vital in any role. Sit in a chair while answering questions so you can practice your posture, and make sure you don’t fidget too much. It may seem silly, but your body language can speak volumes on your confidence and demeanor. If you received an invitation for a job interview, never respond with words such as “Great!” or “Sure!” Reply with a certain degree of formality and be professional in your tone. It also helps to respond to the invitation immediately. Ask questions such as how long will the interview take, who will be interviewing you, and if you need to bring anything such as ID, a resume, references, etc. This conveys serious interest to the company and shows that you are taking their invitation seriously. In preparing for an interview, it’s crucial that you take precautions to avoid giving the interviewer a wrong impression. Avoid giving hasty answers and be sure to highlight your strengths at all times. Think about this: why did the company invite you for an interview? They probably saw something in your resume or in your application that interested them and made them think your skills could be an asset. Go over your resume and review every single detail. Let the interviewer know why you’re the most suitable person for the job, and how you can contribute to their organization’s long-term success. The night before your interview, make sure that you get the right amount of sleep to keep you fresh and relaxed for your big day. Also, make sure that you eat dinner and have time to relax. Remember that a relaxed mind helps one perform better with everything. 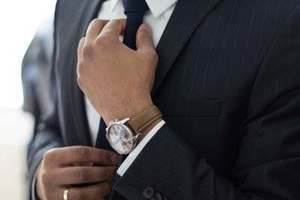 On the day of your interview, make sure that you dress appropriately and that your outfit is clean and ironed. When you are on your way to the company’s office, relax, and more importantly, be on time. Punctuality is a key attribute of a person with good work ethic and you want them to know that you value their time. Should you be unable to attend the interview, inform them ahead of time and reschedule your interview. Also, be positive and believe in yourself. Trust in your abilities and qualifications. Be confident that you will answer their questions well and that you will be able to defend your answers, if needed. When get to the building, go straight up to reception to sign in, or wherever the interviewer directed you to go. Follow standard operating procedures. If possible, ask around about the interviewers. Knowing something about their personality will help you connect with them as the interview progresses. Also, it’s recommended that you have a small notepad and a pen in your pocket in case you need to take down notes during the course of the interview.